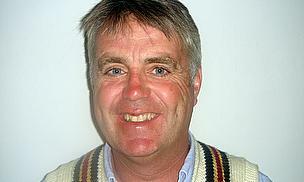 During a club cricket match, Eastbourne drama teacher and ex-TV regular Tim Marriott (Gavin in The Brittas Empire) prepared to attempt a four with a mighty swing - but instead saw the ball come off the top edge of the bat and smash against his mouth and lips, fracturing a front tooth clean through the nerve. Getting back to his feet with the help of his 15-year-old son who had been playing alongside him, Tim couldn’t decide what was scarier: losing his tooth or facing the wrath of his wife back at home, whose parting words that morning, “Don’t forget to wear a helmet!”, had clearly been ignored. It was the horrified looks around him that made him think matters were serious enough to need immediate help. As his lips became more swollen and his tooth hung precariously by the nerve, Tim anxiously rang round a number of local dentists for an appointment that same evening, to no avail. It was finally the prestigious Harman Clinic (www.theharmanclinic.com) in Tunbridge Wells which promised to stay open to see him. Marriot recounts: “We were playing at the Nevill ground in Tunbridge Wells as part of the Bluemantles Cricket week. This is something I always look forward to, as it is a chance to play good quality cricket on a social basis which is great value and good fun. Plus, I get to play alongside my 15-year old son which is always eventful. And so it was of course typical that it was in front of him I was batting and top-edged the ball right off the bat and into my face. I have never worn a helmet and had never had an accident but this one was something else. "I must have collapsed as the next thing I remember was a crowd staring down at me and hearing my son whispering ‘Come on Dad! Man up!’ I got up pretending that the pain wasn’t too bad and went to continue the game but it was the reaction of the players at the sight of my face that made me realise things weren’t looking too good. I rang around to find an emergency dentist, and I had almost given up before I managed to secure an emergency appointment with Oliver Harman. Within two hours of painless state of the art cosmetic dental care and Tim Marriott was able to walk out the doors with his smile intact and the next day went straight out to buy a helmet. By the following Saturday, Tim was back playing cricket and not only protected his new smile, but smashed a quickfire 50 to make him feel better! The Harman Clinic offers the full range of cosmetic dentistry services including veneers, tooth whitening, cosmetic bonding, orthodontics and dental implants. The practice is based in Tunbridge Wells.